The more we age, the more we need to ensure that our diets are balanced because women are prone to deficiencies, a risk that increases with age. One condition that women are likely to develop is osteoporosis. It is caused by a lack of calcium, resulting in brittle bones. According to National Osteoporosis Foundation, approximately one in two women over age 50 will break a bone because of osteoporosis. This is because women tend to have smaller, thinner bones than men and Estrogen, a hormone in women that protects bones, decreases sharply when women reach menopause, which can cause bone loss. While osteoporosis is most common in older people, it sometimes affects young people, including premenopausal women in their 20s, 30s and 40s. Almost every cell in the body uses calcium in some way, including the nervous system, muscles, and heart. It is also an essential building block for lifelong bone health in both men and women. If you don’t get enough calcium in your diet, your body will take calcium from your bones to ensure normal cell function, which can lead to weakened bones. Calcium deficiency can also lead to mood problems such as irritability, anxiety, depression, and difficulty sleeping. These are all symptoms that women can relate to. Doctors advise that you get as much of your daily calcium needs from food as possible. A case study showed that a high intake of Vitamin D and calcium foods may reduce the risk of Pre-menstrual Syndrome (PMS) among women aged 27-44. Milk happens to be one source of calcium that is easily absorbed by the body. Milk is also the top food source of bone-building calcium and Vitamin D. four or more servings of milk per day decreases the risk of PMS. Use milk instead of water on your breakfast cereals like oats. Add milk to porridge. It not only improves the texture and taste; it also adds the nutritional benefits of milk. Add milk to your beverages, i.e. coffee or tea. It decreases the likelihood of discoloring your teeth and adds the nutritive value of milk. Add milk to vegetables. People from Western Kenya add milk to the bitter traditional vegetables to make them palatable. It actually improves the taste. Use milk to make pancakes and mandazis. You can also use milk in the mixing of bakery treats. The easiest way to add milk to your diet is to drink a glass of milk. One glass of milk contains 285-306 mg of calcium. 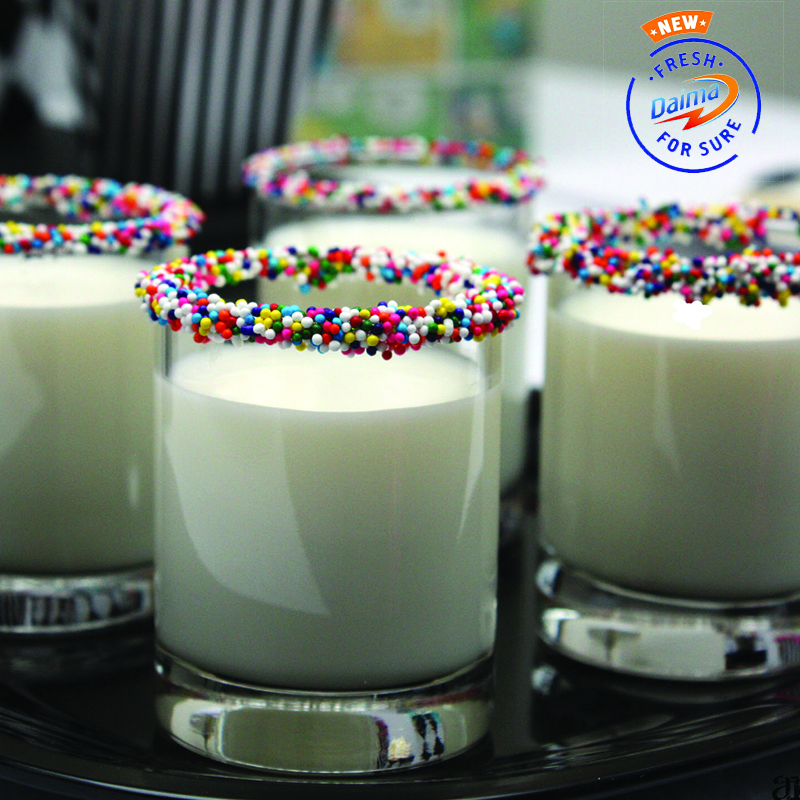 Enjoy the goodness of Daima Fresh milk which is improved and available at your local stores. Rusinga Island: Where The Past Thrives In The Present5 Unusual African Christmas Traditions That Stubbornly Cling On To Modernity!